Read the Positive Charge case study about the Program. 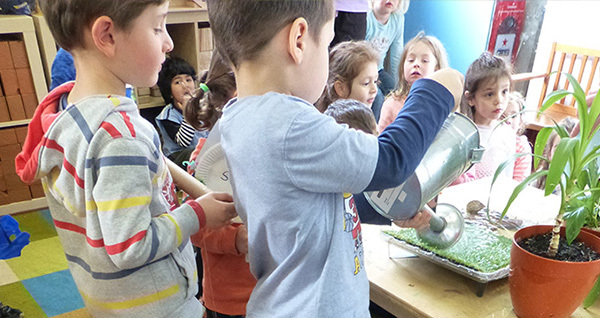 The Little Sprouts Program is a simple and convenient way to ensure your early learning centre continues to achieve environmental education and sustainability outcomes. And with the Little Sprouts annual membership program, it’s a cost effective solution too! The Little Sprouts Program is built on four pillars proven to work: education, action focus, partnerships and community promotion. 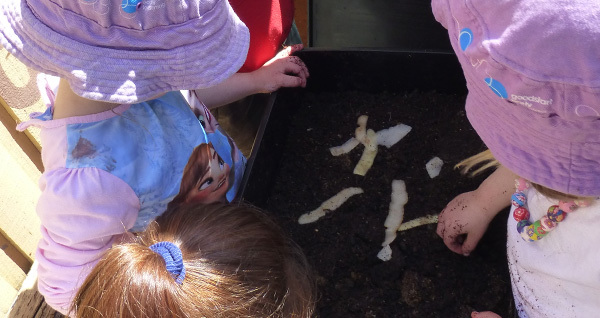 Providing play-based, environmental sustainability learning opportunities can lead to positive educational outcomes – linking with all five outcomes identified in the Early Years Learning Framework. 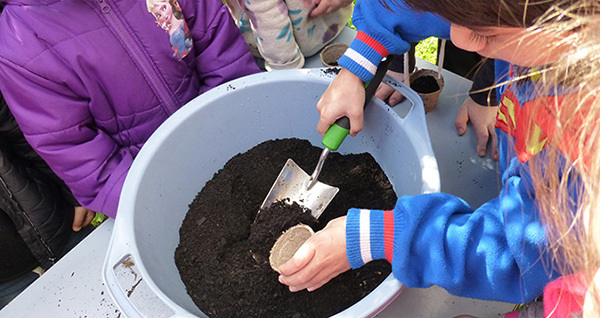 The support of the Little Sprouts Program will help you to confidently plan for and respond to sustainability and environmental education, as well as embed sustainability into your centre practices. Whether you want to keep your worm farm healthy or install solar energy – we have the skills and local networks to help you achieve your goals of all scales. 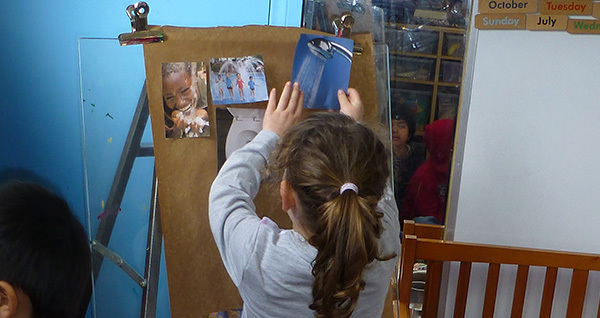 Working together with both staff and children, we identify and respond to your challenges to ensure sustainability activities in your centre are, indeed, sustainable and practical long-term. Building relationships between centres, families and the broader community is a key focus of the Program. We believe that transparent communication, consultation and collaboration is the best way to achieve quality outcomes for the environment and your centre. We acknowledge the Traditional Owners of the country on which we work. In the spirit of reconciliation we help to foster meaningful connections between centres and the local Traditional Owners. 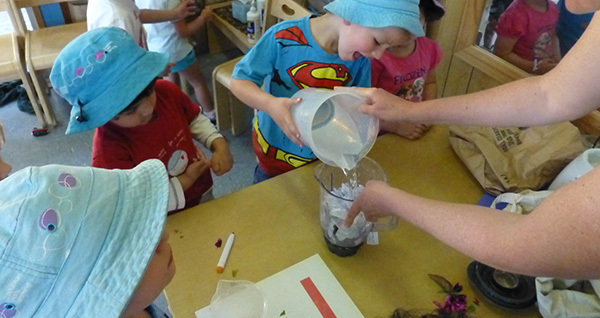 We want to share with others the great things your centre is doing for the environment – whether it’s facilitating media opportunities to promote your environmental celebrations, or writing sustainability snippets for your newsletter, Little Sprouts will help you raise your profile as environmental sustainability leaders in your community. 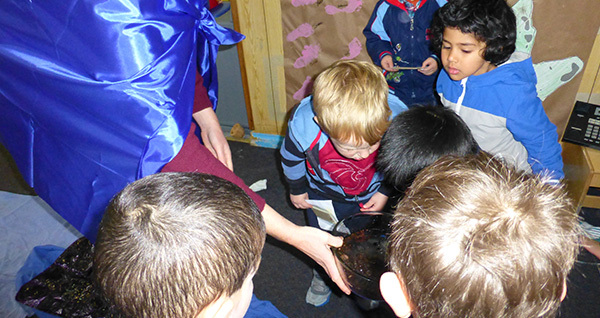 Read about how we’ve helped to green Goodstart Early Learning Centre, Glenroy. • Collection and analysis of basic baseline resource management to help with your action project e.g. 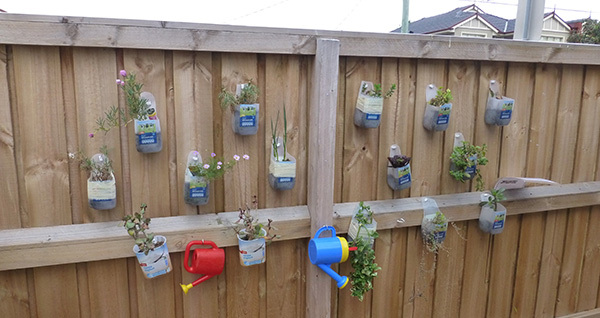 energy, waste, water or biodiversity. Get in touch so we can answer any questions and understand your centre’s sustainability goals. If your centre is based within a 20 kilometre radius of Coburg, Melbourne, one of our expert team members will meet with you in person to get a feel for your centre and what we can help you achieve. Once we understand your centre and goals, we’ll make recommendations on the best way forward. 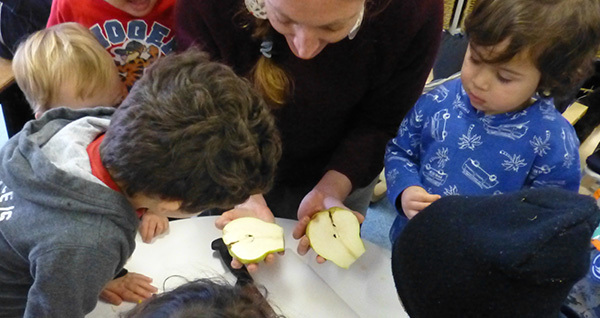 You can sign up to the Little Sprouts Program annual membership at any time during the year.